There are 3 packages available for choice. Each package should only be applied one-time. It is important to randomize your back links. This is why each package is different to make every back link application diversified and look organic to Google. 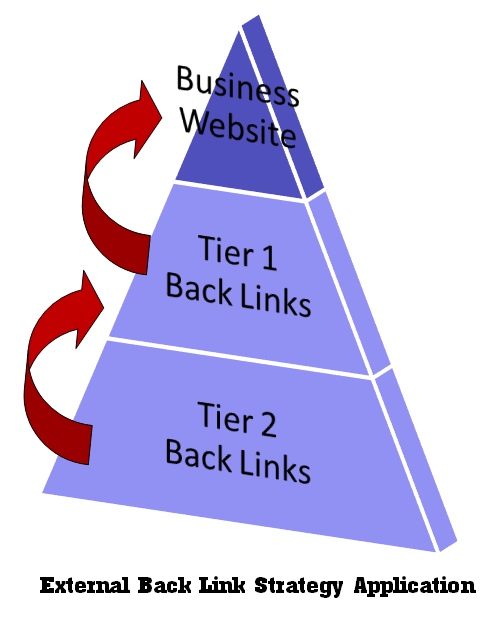 All packages take into account Tier1 and Tier 2 back links. You DO NOT have to commit to a 3-month strategy, but for SEO ranking Google expects consistent back links month -to-month. To ensure that these service packages are right for your website or if you have any question contact our office for a free phone consultation with our SEO expert. - Backlink report included - excel spreadsheet. Before you build external back links it is important to that proper Keyword Research and On-Page Optimization was applied to your key web pages. If not, call us to discuss your options with our SEO Expert at 647-724-6889.